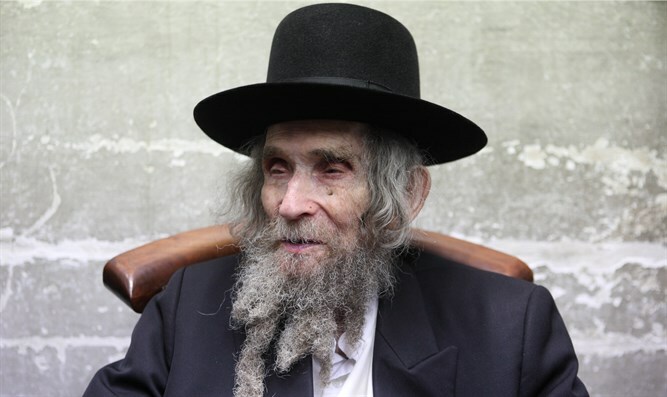 103-year-old leader of Lithuanian haredi community hospitalized over high fever. Rabbi Aharon Leib Shteinman, the rabbinic leader of the Litvish haredi world, was evacuated to the Maayanei Hayeshua hospital in Bnei Brak after suffering from a high fever, Kikar Hashabbat reported. Doctors at Mayanei Hayeshua are conducting examinations of Rabbi Shteinman and will decide on possible treatments or extended hospitalization once the tests have been completed. Rabbi Shteinman had been feeling weak over the past few days and doctors decided to evacuate him to the hospital for further tests after he developed a fever on Sunday. Sources close to the rabbi stressed that he is in stable condition. "The rabbi came for tests due to a fever and weakness he suffered during the night and this morning," the source told Kikar Hashabbat. The 103-year old rabbi has been hospitalized repeatedly in recent months, including a two-week stay in the intensive care unit after an infection was discovered.